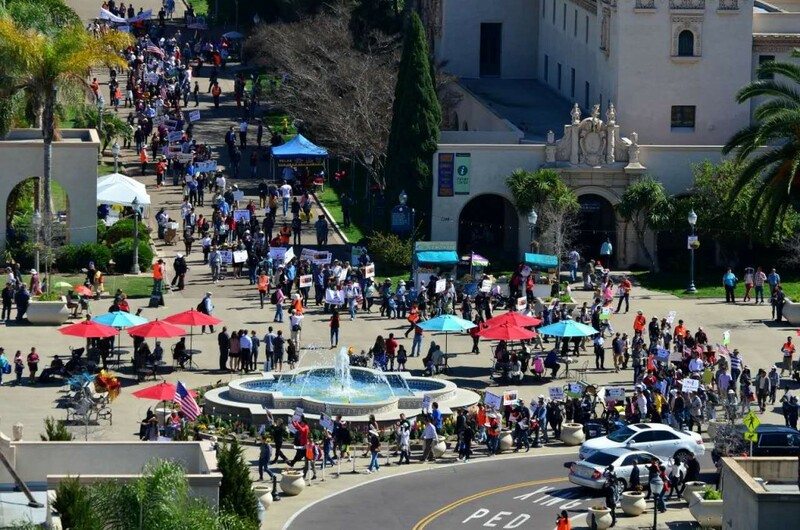 Today, 1,150 members of the Asian American community gathered in Balboa Park in support of former NYPD Officer Peter Liang following his controversial conviction. 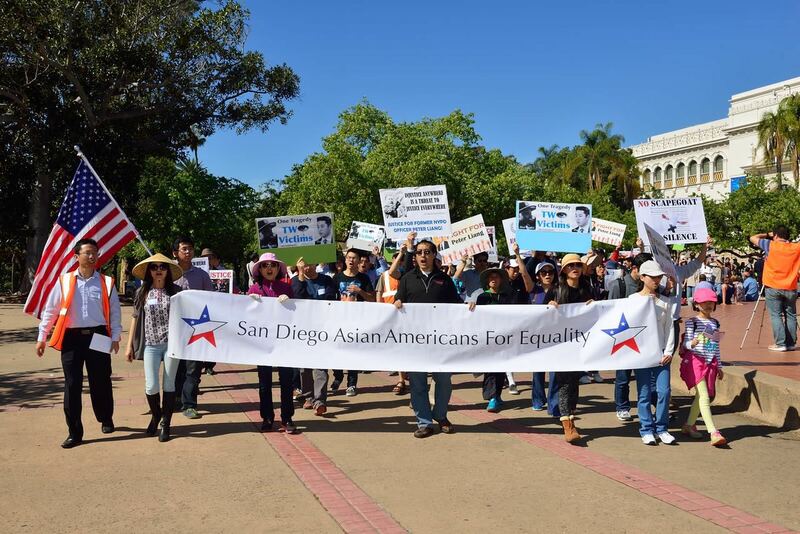 The protest was organized by San Diego Asian Americans for Equality, SDAAFE, in conjunction with over 40 similar protests across the nation. “We feel deeply sorry for Mr. Gurley and his family. 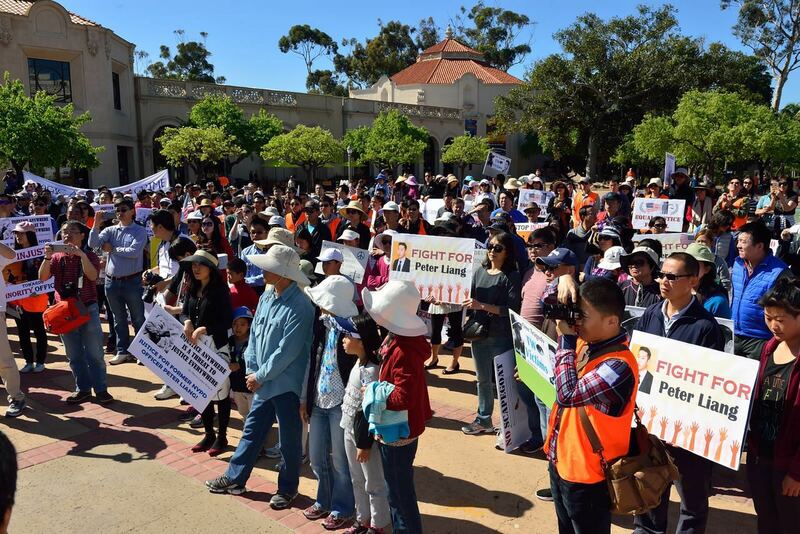 But we also believe Mr. Liang was made a scapegoat through selective prosecution in order to relieve the pent-up pressure that has been building nationwide in the months leading up to this tragic accident.” said Frank Xu, President of SDAAFE. Mr. Liang, a rookie officer in Brooklyn, was conducting a vertical patrol in a pitch dark stairwell when he was startled by a noise and accidentally pulled the trigger on his gun. In what can only be described as a tragic accident, the bullet ricocheted off a wall and struck and killed Mr. Akai Gurley. Following a highly politicized and controversial trial, former Officer Liang was found guilty of second degree manslaughter earlier this month. Those who gathered today mourned jointly for the life of Mr. Gurley and the fate of Officer Liang. 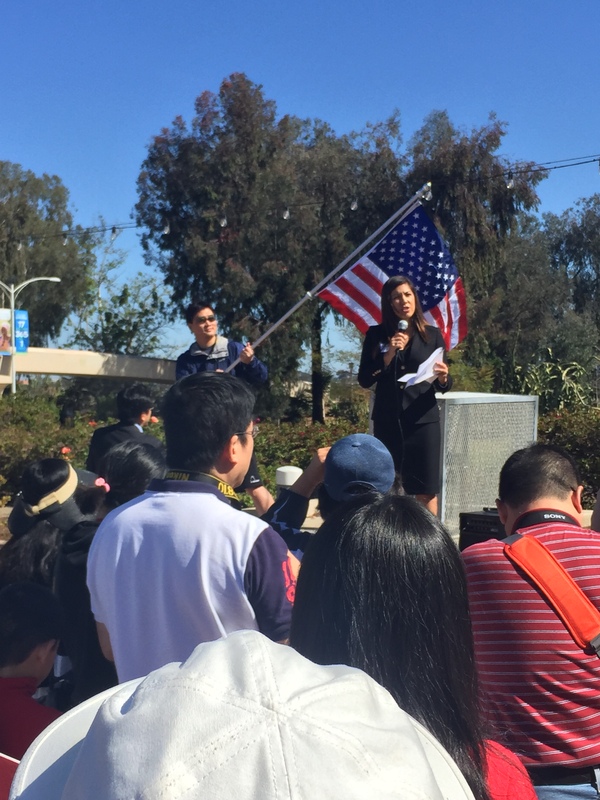 52nd Congressional District Candidate, Denise Gitsham, clarified the facts of the case and expressed her solidarity with the community. 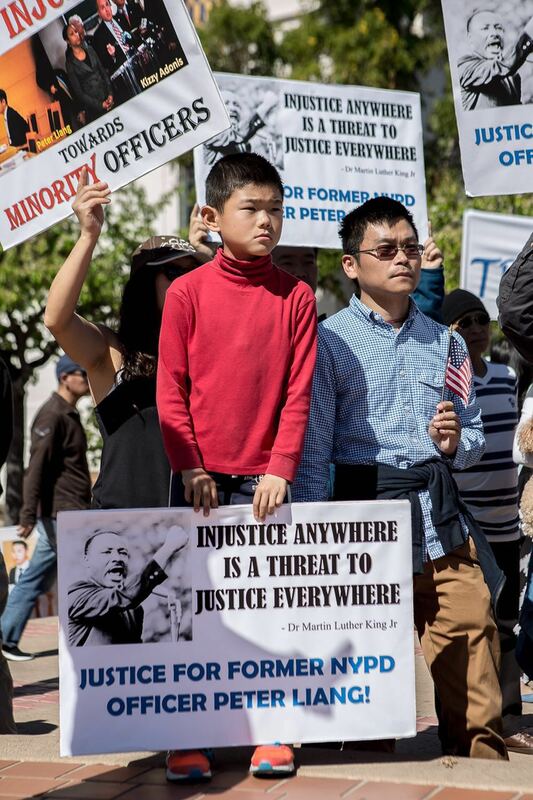 “We cannot allow our judicial system to make an example of Officer Liang by forcing him to bear the burden of past injustices,” said Gitsham, who is an attorney and of Chinese descent. 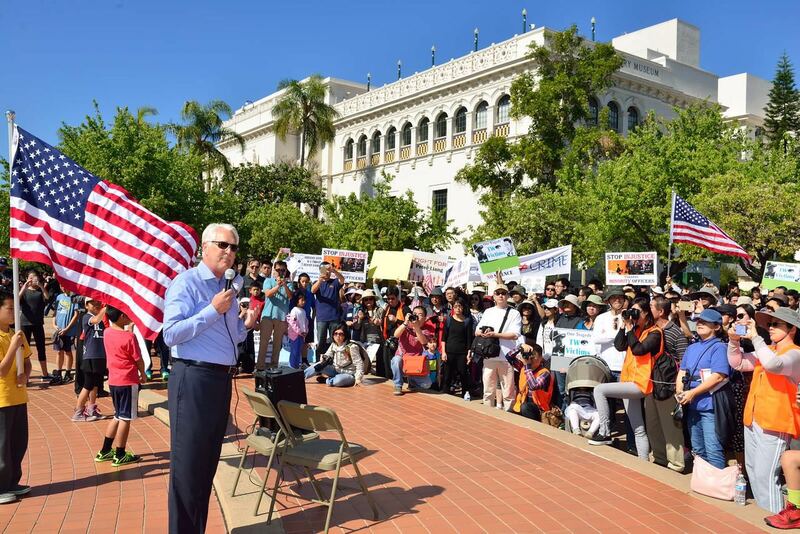 Ray Ellis, who is running for City Council District 1, was also in attendance in support of the cause.